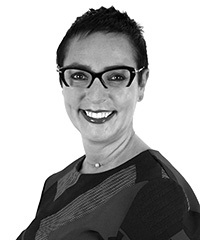 Claire is a commercial lawyer with experience of working in the in-house legal team of companies in travel, recruitment and financial services. Claire regularly reviews contracts to identify and advise on key risks and reviews and revises standard terms and conditions to ensure they comply with the latest consumer protection legislation. Claire has particular experience in in the travel and leisure industry having worked in-house for a group of tour operators. Drawing on this in-house experience Claire acts for a number of tour operators/travel agents providing sector specific regulatory advice on the application of current legislation and providing general commercial contract advice. Claire provides training on commercial law, to include training on the impending GDPR. I enjoy working with the client, finding out about their business enabling me to provide a practical and pragmatic approach. In her spare time Claire likes to travel, gardening, interior design and indulging in a spot of retail therapy. Claire is also a volunteer at North Clwyd Animal Rescue.